Hi, my name is Alex, I’m 24. I have over 12 years experience as a musician, with 3 of these years spent teaching. I can cater for all ages and abilities. I can also cover a vast range of styles. I teach from home but can also travel to students houses (an additional fee may be added depending on distance). I believe music should be fun, and I express this in my teaching whilst keeping a strong work ethic. It is ultimately down to the individual, I am here to show you the possibilities. National BTEC Diploma in popular music performance. 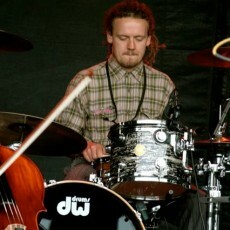 I have been playing drums since aged 12 (I'm now 24). In this time I have been fortunate enough to cover all different aspects of working as a musician. I am from Jersey (Channel Islands) and have been living in London since 2012. 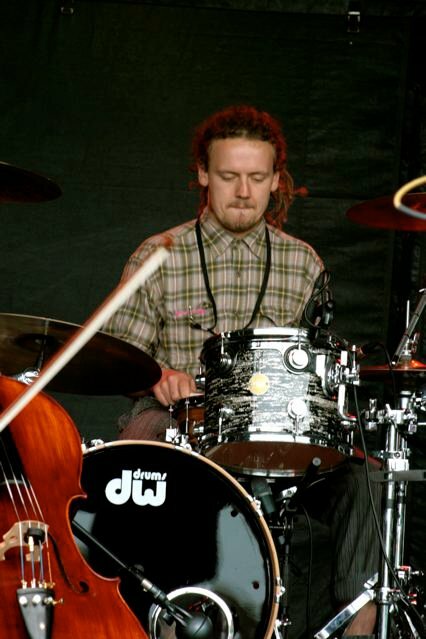 Throughout secondary education I was also working as a drummer in Jersey. I then moved to london to further my music studies at tech music schools where at aged 16 I gained a BTEC national diploma in popular music performance. In the following years I continued to record and play live with various bands until I joined my current band. Throughout my career I have played various styles including reggae,hip hop, afro, jazz, rock, metal, pop, funk, soul, blues. Of these jazz, soul and hip-hop are my main influence and inspiration. I enjoy playing all types and styles and apply myself whole heartedly to any situation. I am comfortable in live and studio situations with extensive experience in both. I am comfortable with singing backing vocals and confident with most percussion instruments. LLoyd Yates (current)- Numerous gigs and recordings including; Maida Vale studios for BBC Radio 1, Portsmouth guild hall (supporting Jamie Cullum) Bestival 2013. Two 5 track E.P's and 1 full length album. * PAY NOTHING NOW * Payments for drum lessons are made directly to Alex Moody. TRAVEL EXPENSES: If you choose for the Tutor to travel to the Student's location, the Student agrees to pay the Tutor's travel expenses. Estimated £5. 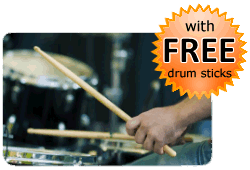 You do not pay in advance to book a drum lesson with Alex Moody via this website. The Booking Request Form on this page enables Alex Moody to get in contact with you to confirm a day and time for the drum lesson.